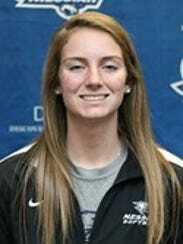 The Messiah College softball team is soaring to the top of the Middle Atlantic Conference standings thanks to the strong efforts of some former York-Adams League standouts. The Falcons sit at 21-4 and are currently ranked No. 10 in NCAA Division III. They also lead the MAC Commonwealth Division with a 7-1 mark.